Party like it's 1987 all over again! "Haro Designs Bikes and other Cool Stuff" retro flashback shirt. 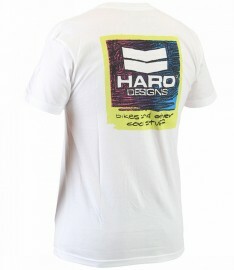 In WHITE with turquoise and raspberry color graphics on front and back of shirt.